Courtyard at Castello di Colognole, Greve in Chianti, Tuscany. Photo by Elizabeth Larson. CP: How did you get started in photography? EL: Inspired by my dad, who is a retired travel writer & photojournalist now, I decided to take a semester of beginning photography in college & started working part-time in a camera store. Then I moved into assisting well-established photographers, both commercial & wedding/portrait and the rest is history. I got hooked! View from gardens at Castello di Colognole overlooking vineyards and olive groves. Photo by Elizabeth Larson. CP: What is your favorite subject matter to shoot? EL: In my spare time, I love to photograph flowers/plants/gardens and travel photography, whenever I get the opportunity. I enjoy photographing people too, but this is what I do professionally full time (weddings, portraits, headshots, events). The other aspect of photography is what I do for fun and inspiration. However, I have been paid for some of my work when it comes to travel & garden photography. I also have a current show of my travel photography at a local winery, and those prints are for sale. In addition, I have a photo on the same NC Winery/Vineyard’s wine label & they’ve used it every year since 2009. 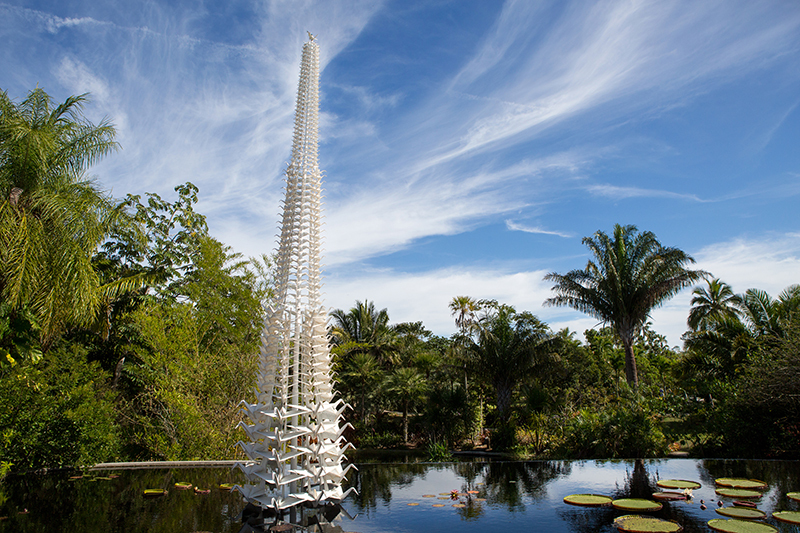 I’m an avid gardener and I love to travel and photography is another love so putting them together makes sense. EL: Canon photographer. I had the opportunity to shoot with a Nikon earlier this summer and I admit I liked it! However, it’s too late to switch. I have too much invested in Canon! I still love my Leica CL film camera and I have a Pentax K1000 that I occasionally run B&W infrared film through. CP: What is your favorite lens? What is always in your gear bag? EL: I use my 24-70mm/f2.8 “L” lens most often but also love my 80-200mm/f 2.8 “L” lens but it’s so heavy! Also an old favorite is my 100mm Macro 2.8 lens for close ups. I always have back-up equipment in my bag, plenty of batteries, and memory cards. Back-up equipment is crucial when you photograph weddings. Naples Botanical Garden Lake & Mimosa Trees, FL. Photo by Elizabeth Larson. 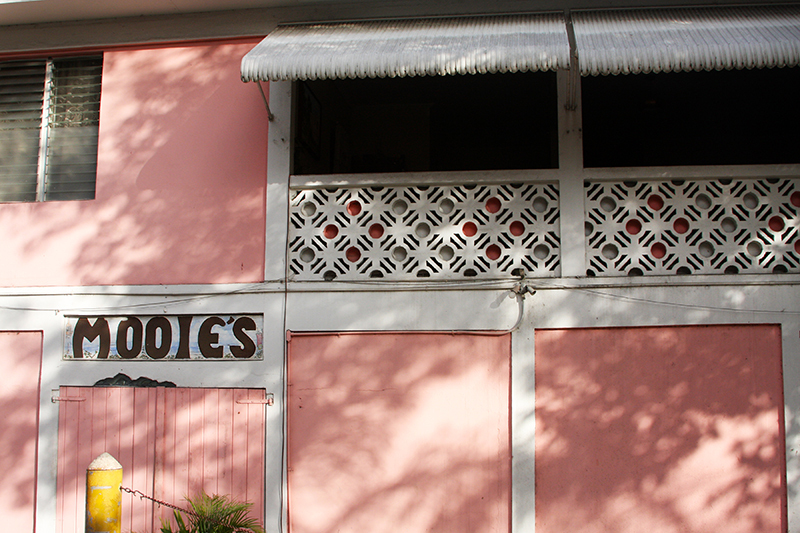 Mooie’s – the oldest bar in Cruz Bay, St. John, USVI. Photo by Elizabeth Larson. CP: Who are your favorite photographers or artistic inspirations? EL: What can I say – my father is my #1 inspiration! I also have had the pleasure of getting to know a couple of National Geographic photographers when I lived in Charlottesville, VA. I’ve always admired their work – William Albert Allard (I worked with his daughter in the 80s at a photo lab/camera shop) & Michael “Nick” Nichols. He started a great festival in Charlottesville called “Look 3: The Festival of the Photograph” in 2006. Some of the old school photographers I’ve always admired are – Dorothea Lange, Elliot Erwitt, & Henri Cartier-Bresson to name a few. A more recent discovery via Instagram is Paul Nicklen, another National Geographic photographer. I love his travel and wildlife work! I have stumbled upon many, many photographers via Instagram as well & of course several wedding photographers inspire me, however there are too many to list! CP: How long have you been teaching at the Folk School? What made you want to teach here? EL: 2011 was the first year I taught a class at the Folk School. My dad encouraged me to teach photography & more specifically the Folk School. He has a neighbor who has taken several classes at the Folk School & she suggested he teach there. But dad “turned it over to me” like he has done with a couple of weddings in the past! Again, my dad is my true inspiration. I’ve also taught some photography classes locally since and had a young college student mentor under me in 2016 for a semester and part of last summer. 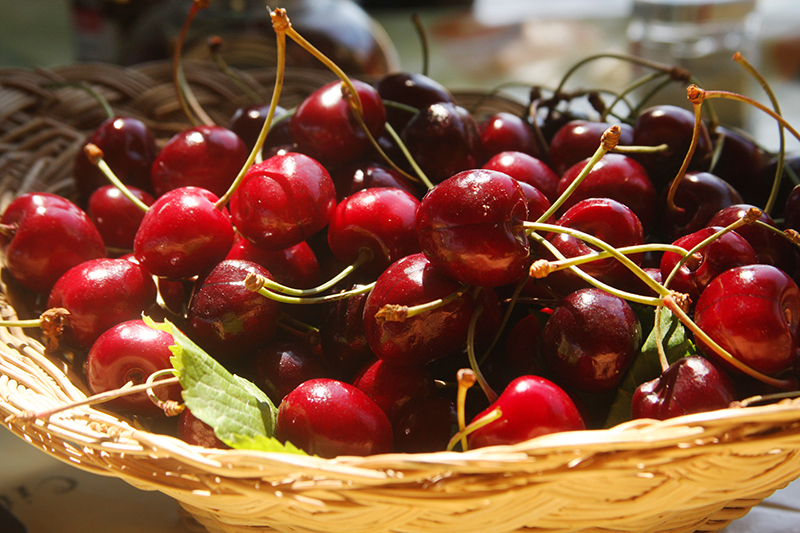 Fresh picked cherries, Tuscany. Photo by Elizabeth Larson. 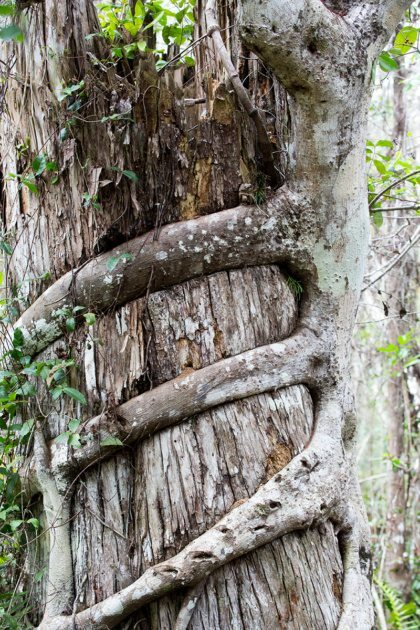 Strangler Fig, Fakahatchee Strand Preserve, FL Everglades. Photo Elizabeth Larson. 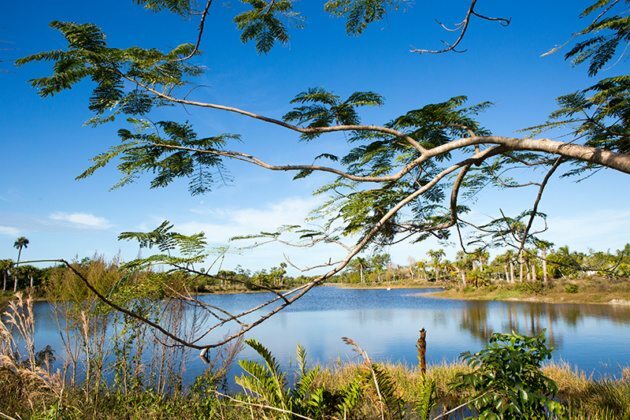 CP: Where are your favorite places to shoot at the Folk School? EL: I love the gardens/landscaping around campus, so that for sure. I also love the nature trail down by the creek. The studios can be fun too only if instructor is okay with us coming in during classes with cameras in tow. And in the evenings, definitely the contra & square dancing is a blast to photograph. It’s all part of the experience of the Folk School! CP: Tell me a little bit about your upcoming class, Wanderlust: The Art of Travel Photography? What sort of material are you going to cover? EL: We will cover all aspects of travel photography in order to tell your story of your travel experience – such as life at the folk school, the people & culture of the area, architecture, the landscape and nature around us, and more. We’ll cover the best camera equipment to take when you travel, how to pack, lighting, composition, exposure, and what makes the best most visually interesting photograph. And we can even discuss how to cull/compile photos from your travels to show your best work in order to tell a story. So much to cover – I can’t wait! CP: When you are traveling, what draws you into shooting a scene/place? 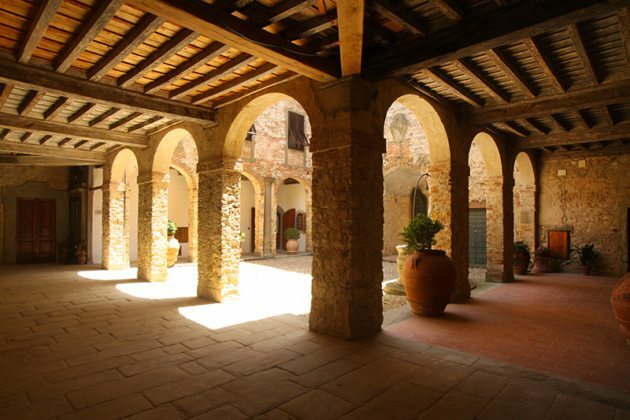 EL: For me, it’s so many things – scenery, the people, the cuisine (I did this a lot in Tuscany), culture of where you are (and this can be in your own country/city), the art, landscapes/gardens, architecture – all those things and more. Telling a story with your photographs is such a great way to remember the experience and to share with others who were there with you or with those who were not. 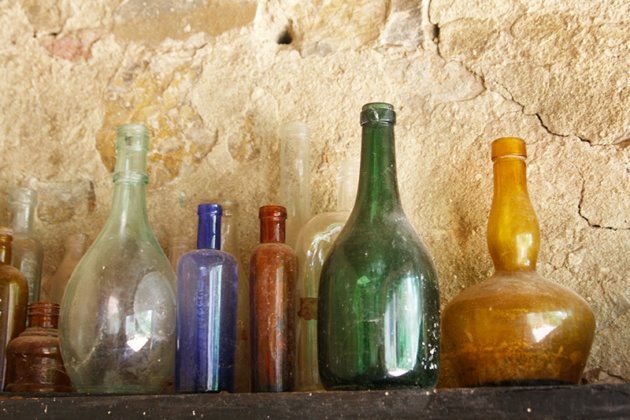 Antique bottles found on shelf in washroom at Castello di Colognole. This image ended up on a wine bottle at Grove Winery (local winery 2 miles from my farm) & is still used today. 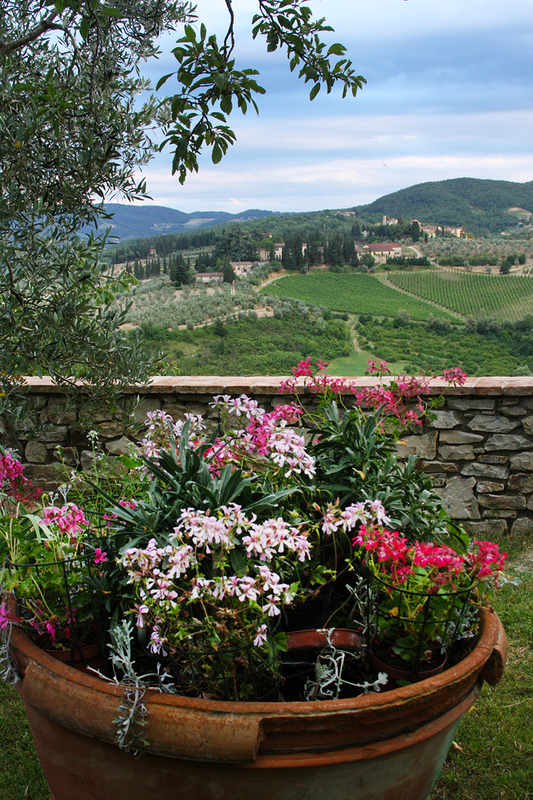 I currently have my work (Italy travel photos) displayed in Grove Winery’s tasting room on permanent display but they’re also for sale. Photo by Elizabeth Larson. CP: Is your class primarily going to focus on shooting on the Folk School campus, or do you have excursions planned? EL: Primarily on campus, but I’m hoping to take them on at least one field/day trip off campus. I took another class to a beautiful place last year & they loved it, Vogel State Park & it has a waterfall. Hopeful fall color will still be hanging on then. CP: Which is more important: having a creative eye or having superb technical camera skills? EL: A basic working knowledge of your camera/equipment is always a good thing, however a creative eye is more important, in my opinion. EL: An intermediate student, however, I’m willing to work with someone who is just starting out. It would be helpful for all students to read their camera manual ahead (and bring it with them) and then try some things hands on before you get into class. Practice is a great thing! Naples Botanical Garden Origami in the Gardens (sculptures). Photo by Elizabeth Larson. 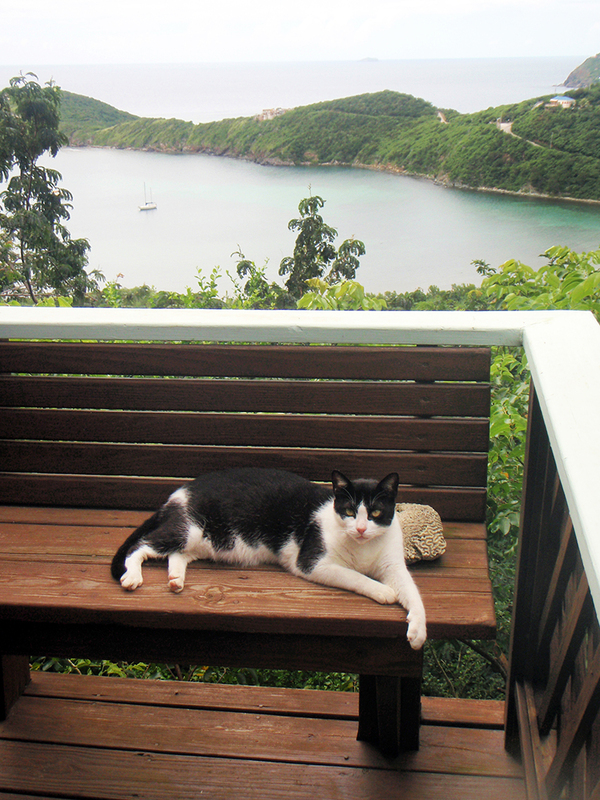 Cat living island life, overlooking Fish Bay, St John, USVI. Photo by Elizabeth Larson, published on Purrfect Travels blog/website. Learn how to create stimulating and memorable travel photographs, whether they’re of exotic, faraway places or locations nearby. Using the Folk School setting as a microcosm, discover opportunities to focus on the natural environment, architecture, local culture…and of course, people, in order to create the true travel photography experience. Lighting, composition, and more will be discussed. For photographers comfortable using a digital SLR in manual mode; mobility for hilly terrain advised.